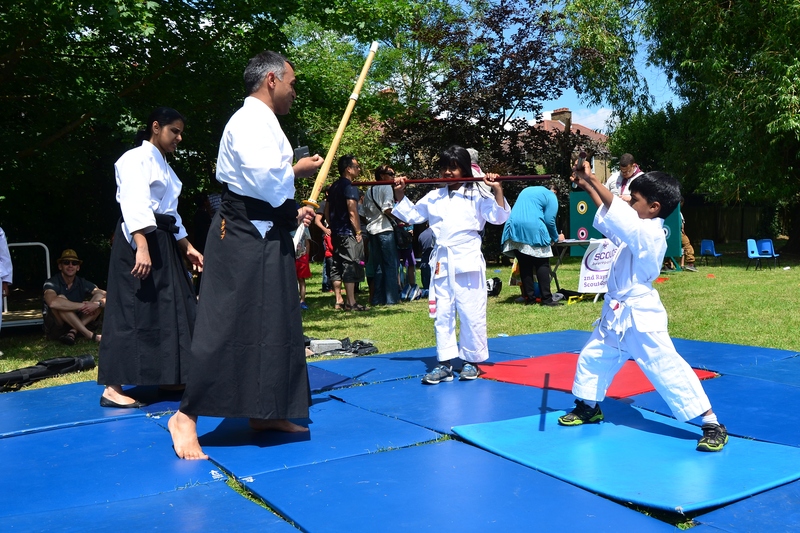 We covered various aspects of our practise, starting with some children demonstrating how to protect themselves with weapons. 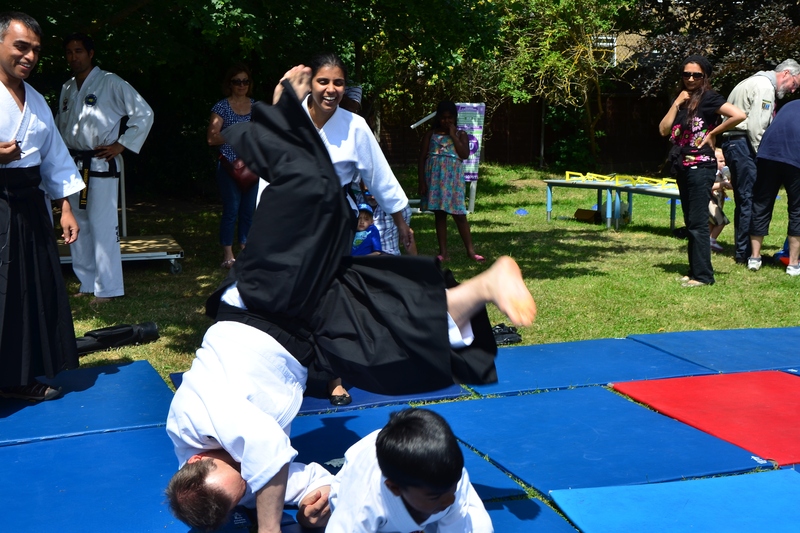 They then continued to show some Aikido techniques, first with each other and then against adults. This all culminated with a multiple attack where an eight year old child successfully protecting himself against three adults. 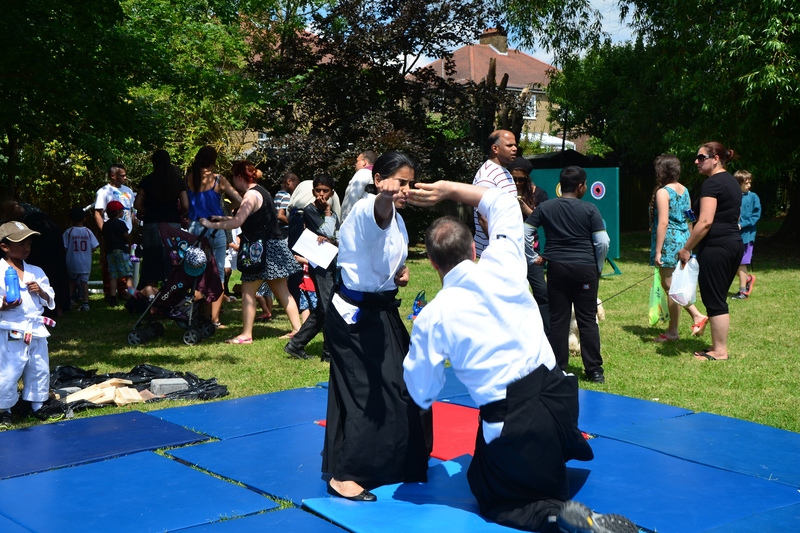 We were able to show that AIkido is not dependent on gender, size or age and can be used by anybody for their protection. 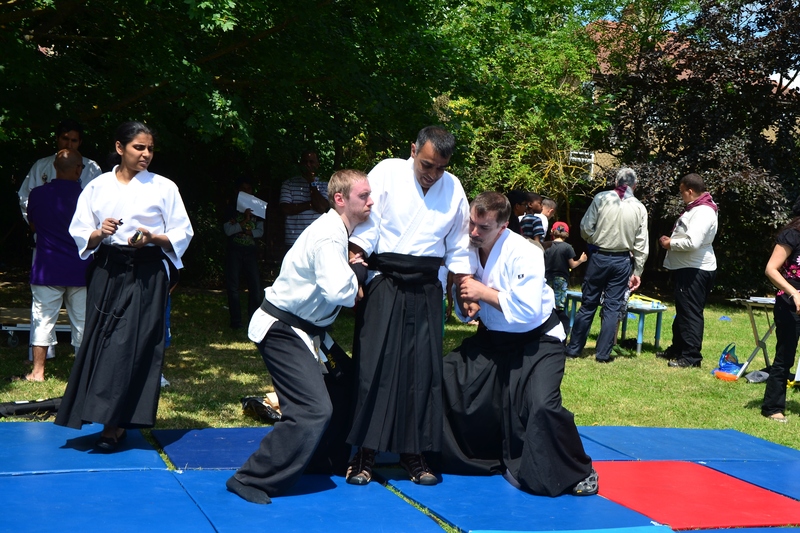 We continued with a range of techniques showing how Aikido deals with a variety of attacks. This was followed by a few techniques demonstrated by a female member of the club againsts a much larger male. 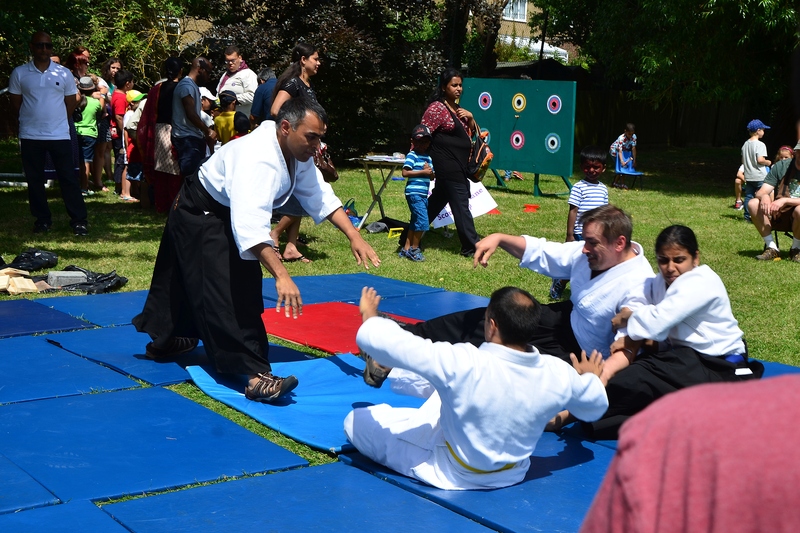 We also showed how with Aikido, you can protect yourself against an attacker with a weapon and against a multiple attack. I gave a demonstration of mind and body unification. 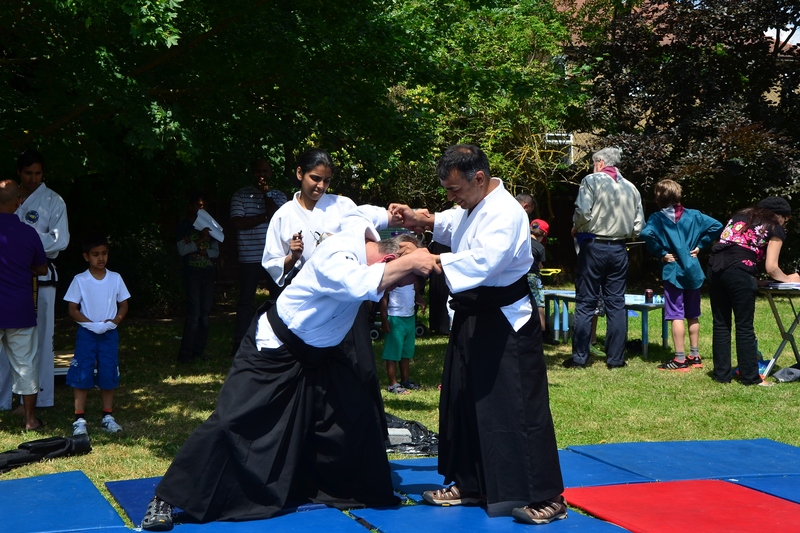 At first glance Aikido techniques can seem deceptively soft and relaxed. 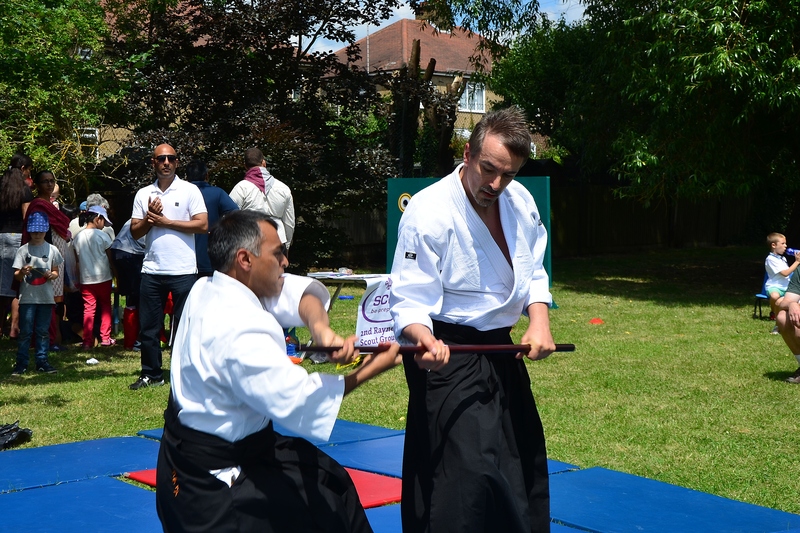 I gave a few examples on how a calm confident posture can overcome an aggressive force. 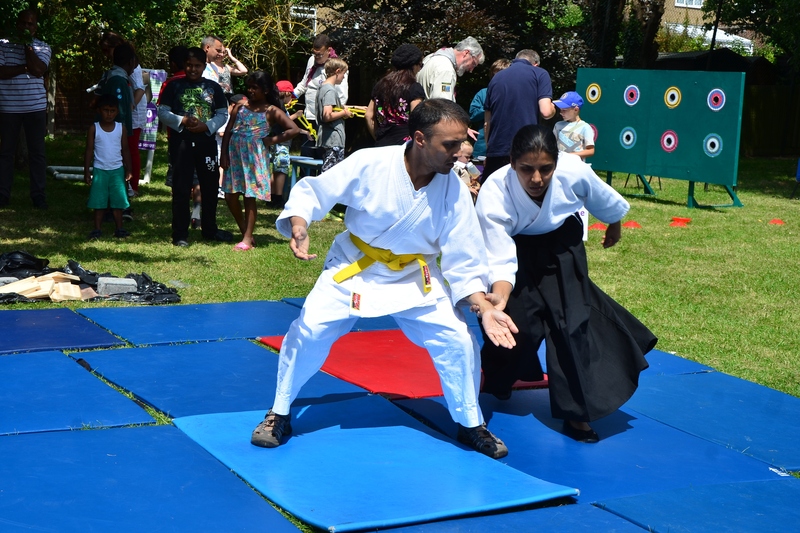 We really enjoyed demonstrating our art to the school and look forward to another opportunity to show how Aikido works are in a real situation. More photographs from the demonstration can be found on our Facebook Page.